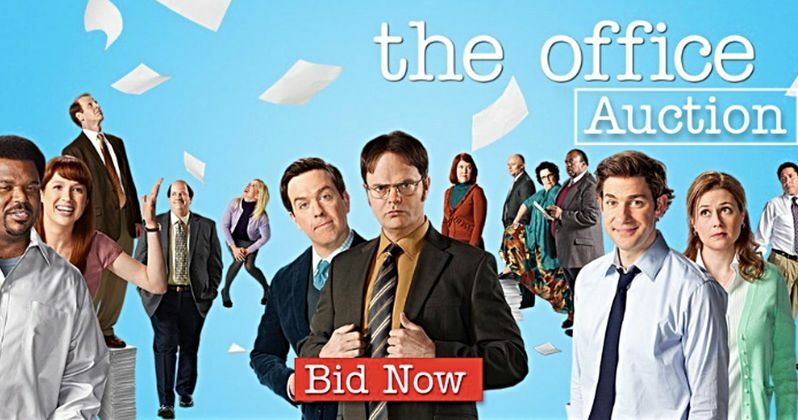 If you're a die hard fan of The Office, and there are plenty of them out there, the chance to own a piece of the show is right now. Hundreds of items from the beloved NBC series, from the totally innocuous to the absolutely infamous, are all being auctioned off right now to the highest bidder. So, if you've got some cash to spare and have ever dreamed of owning Toby's mouse pad or Phyllis' orange umbrella, the time is now. The nice thing about this auction in particular is that even those with only a little bit of cash can possibly get their hands on a prop from the series. That said, don't expect those items that sell for relatively cheap to be anything of true significance to the show. Because The Office, as the name implies, actually takes place in an office, there are tons of just basic things like Jim's desk lamp, Meredith's Dunder Mifflin filing box and Angela's computer monitor that look just like basic office supplies. The only special thing about them is that they were featured on the show. And the use of the phrase relatively cheap is important here. As of this writing, the current bid on Dwight's calculator, for example, is $300. But Stanley's magnifying glass is going for a slightly more reasonable $150 for the time being. For those who maybe have more cash to burn and want to try and score something much more iconic, there are plenty of those items on the auction block as well. But given what Dwight's calculator is likely to sell for, expect the big items to go for some seriously big bucks. For example, Michael's iconic St. Pauli Girl beer sign is up for auction, but the current bid is already up to $3,600. There are other majorly iconic items such as Pam's reception desk, which sits at $5,500, Michael's office desk, which is going for $4,600 and the conference room table and chairs for $3,400. They're even selling the Dunder Mifflin glass door, which is already up to $3,600. And these are just some of the literally hundreds of items fans can bid on right now. For those who are actually looking to get in on the action, the auction is going on right now and is scheduled to conclude on October 5, with lots scheduled to start closing at 1 p.m. PDT. Also of note, all items will have a 24 percent buyer's premium attached after bidding closes. So that needs to factored in for those who will be doing some clever financial maneuvering in order to try and win one of the items. The site also notes that the buyer is responsible for choosing the shipping method. Plus, they asses a $14.95 handling fee for each item. To check out all of The Office items up for auction, head on over to Screenbid.